BUTTE — Alaska's future hemp industry barely drew interest from a few dozen people when a bill making it legal surfaced last year. So-called CBD oil is a non-intoxicating cannabis extract, already sold in Alaska but not made here, that's said to treat a wide range of ailments: arthritis, seizures, anxiety and more. 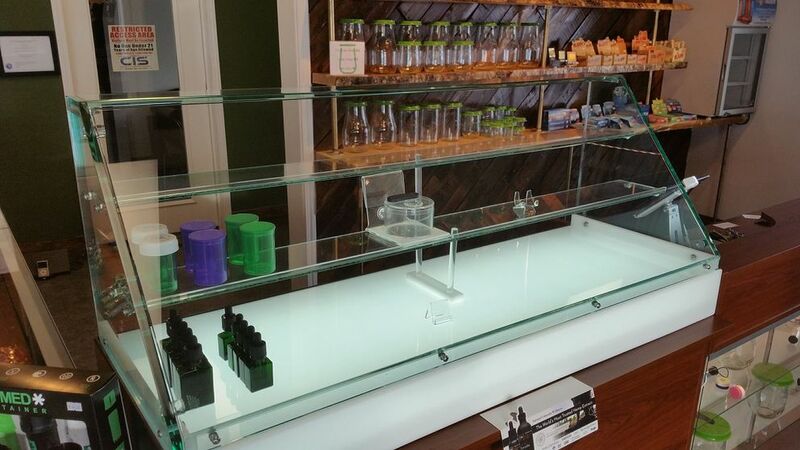 CBD markets are booming throughout the United States, en route to what's expected to be a multibillion-dollar market within a few years. "I never could have forecasted the interest for this," Carter said. 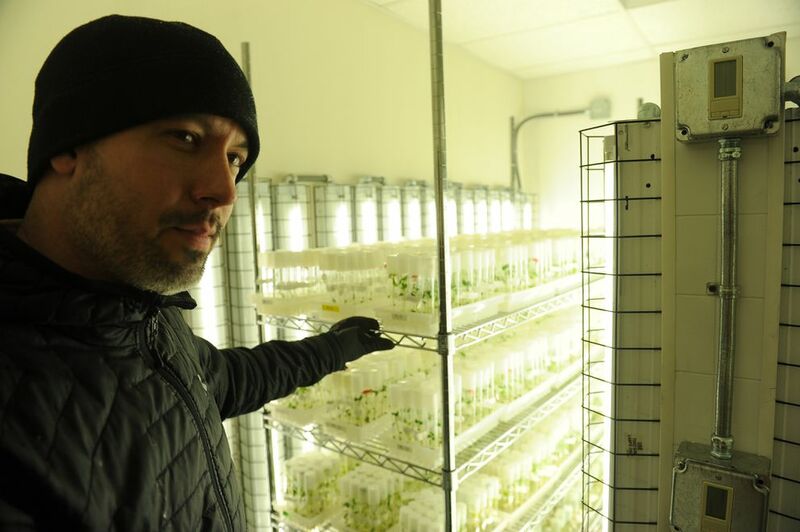 "I can't say I've had 500 individuals call me that want to get into broccoli production or want to get into rhubarb production, but we have with this." But first, Alaska's nascent industry needs answers: How will the state roll out a pilot program? Which seed variety will thrive in quirky climates? And what's the solution to the state's ever-present transportation and infrastructure hurdles? Ellis, who attended last month's bill-signing at the "classy" invitation of Hughes, said he hopes the state starts the hemp pilot quickly given the time it took to pass legislation. "Alaska farmers … really deserve the opportunity to get the regulations done ASAP so they can plant seeds this spring, not one year or two years from now," he said this week. "Alaska should have been the third or fourth state to do this." 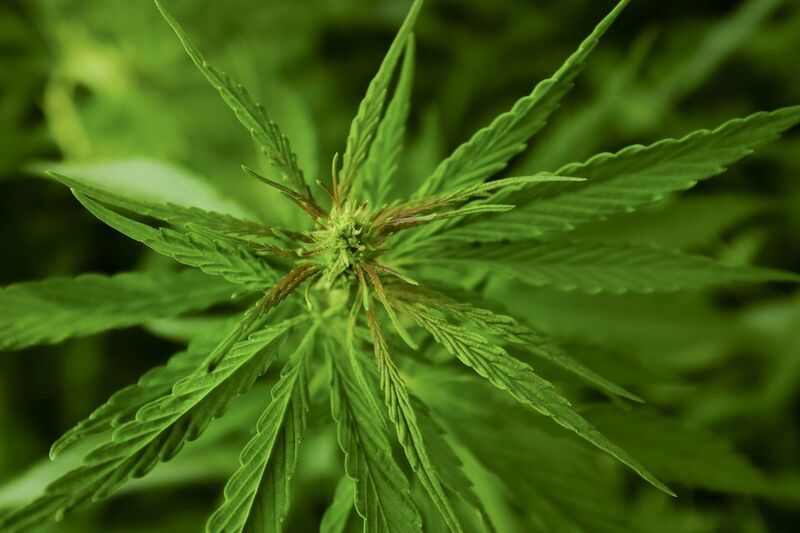 Hemp and marijuana come from the same general plant family — cannabis — but hemp doesn't get you high. 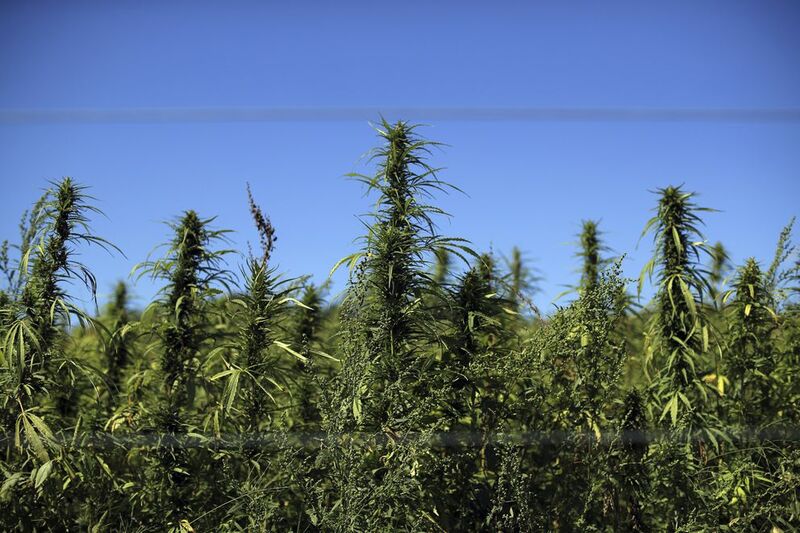 They look different: A hemp plant is skinnier and taller, with leaves up high, instead of bushy like a marijuana plant. Talkeetna's Ember Haynes advocates for garden-level hemp growers. "That's the beauty of the hemp industry," she said. "It doesn't have to start with a big industrial boom. It can start with a slow rise of people just incorporating it into their daily lives." But first the raw product's fibrous stalk needs to be removed from the inner stem, Albers said. Equipment to do that isn't readily available in the state. "I think it's got some potential," he said. 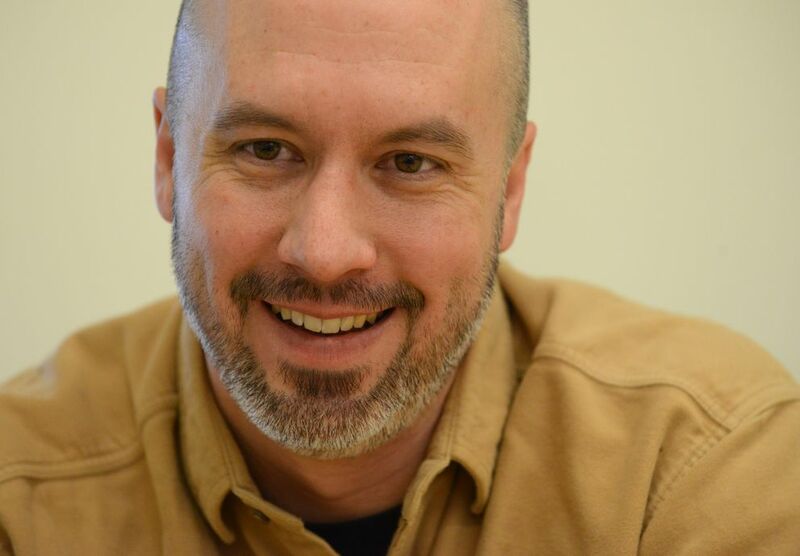 "The problem is like most things in Alaska, it takes infrastructure to get it built." Fans rave about CBD oil's healing properties for dozens of conditions, from anxiety and stress to multiple sclerosis. Though there's been little published data to back most medical claims about CBD, new research is starting, according to a National Public Radio report. Federal funding is going toward a clinical trial to see whether CBD can help people with post-traumatic stress disorder who abuse alcohol, NPR reports. Another study is looking at CBD's use in preventing relapse in opioid abusers. Gershon Cohen of Haines testified during a legislative hearing this year that the oil controlled his granddaughter's seizures so well, the family took her off drugs that had delayed her motor skills development. The girl went from being unable to sit at 16 months to walking a few months later. She's 3 years old now. "She runs and plays and rides a tricycle with her peers," Cohen said. She's had no seizures in 26 months on CBD, he said. CBD oil is already in sold in gas stations, garden and pet stores, and natural groceries in Alaska. But it's made from cannabis grown and processed someplace else, then shipped up. 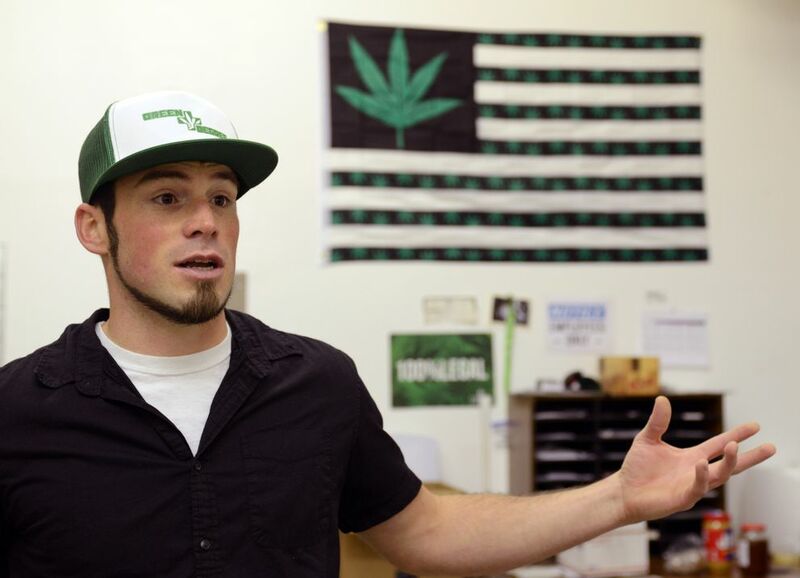 Coman is already an established cannabis entrepreneur: He owns a recreational marijuana dispensary and limited grow operation called Green Degree just outside Wasilla. He's in the process of opening a CBD store in downtown Wasilla. He's already put bids down on some large agricultural lots toward Willow. "We're going to start our hemp field there and move forward," Coman said. Even though hemp doesn't contain the psychoactive agents in marijuana, there's still stigma and legal confusion surrounding it, he said. Now, with legalization looming, growing hemp "should be as easy as having a permit," he said. "Why would you limit what we're able to do?" It's not that easy, though. Backers say industrial hemp could herald a major new industry for Alaska, given the state's relatively pristine growing climate and soil. But before any hemp seeds hit the ground, the state Division of Agriculture's Plant Materials Center in Butte must develop a pilot program as required by federal law. Only people registered in that program can grow, process or manufacture hemp products. What variety of seed will grow here given Alaska's short but intense summer season? Given the state's remoteness and lack of hemp history, how will Alaska play catch-up with the processing equipment needed for this new industry? And how will the state regulate people who want to grow hemp for CBD oil when there's already oil on shelves in gas stations and natural food stores? It's likely "a large portion of the regulations" will address CBD oil production, manufacturing and sales, Carter said. Anyone who wants to grow hemp in Alaska to make CBD oil will have to make it into the state's pilot program. Carter's not sure how he's going to cull a list he originally thought would contain 25 names but now has over 500. "It's pretty tough," he said. "I'm not sure how we're going to limit entry."